1 hr limit. 1 location only. Additional photo shooting time or second photographer is available for $150 per ½ hour. No prints or album. FULL PHOTO RIGHTS INCLUDED!! 1½ hr limit. 1 location only. 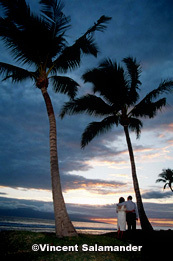 Additional photo shooting time or second photographer is available for $150 per ½ hour. PHOTO CD & FULL PHOTO RIGHTS INCLUDED!! 2 hr limit. 2 nearby locations only. 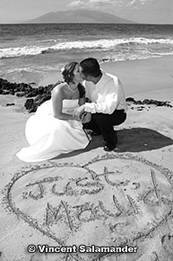 Additional photo shooting time or second photographer is available for $150 per ½ hour. PHOTO CD & FULL PHOTO RIGHTS INCLUDED!! 3 hr limit. 2 nearby locations only. Additional photo shooting timeor second photographer is available for $150 per ½ hour. PHOTO CD INCLUDED!! 4 hr limit. 2 nearby locations only. 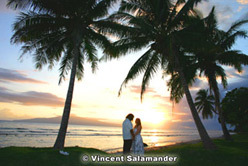 Additional photo shooting timeor second photographer is available for $150 per ½ hour. PHOTO CD INCLUDED!! 5 hr limit. 3 nearby locations only. 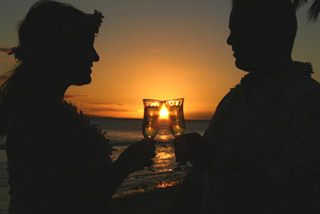 Additional photo shooting time or second photographer is available for $150 per ½ hour. PHOTO CD INCLUDED!! * quality leather or suede album. · Photo shoot overtime (appx 60-100+ choice photo images/prints likely) or 2nd photographer = $200 per hour; $100 per ½ hour. · Studio-type portrait photography available - please add $150 to any photo or wedding package, as it is NOT included, otherwise. 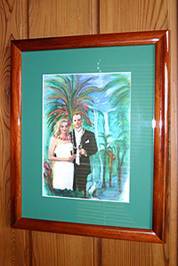 11x14” Artist-rendered painting, matted & framed in Koa veneer, of your favorite wedding picture! = $295!! 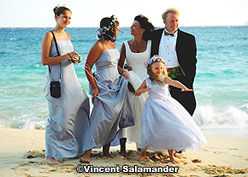 "Allow us to capture your event's precious moments like no other photographer can." Prices effective 5/25/11 and are subject to change without notice. 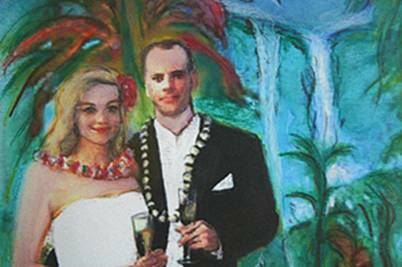 ©2002-2019 Merry Maui Weddings - All Rights Reserved.